Global Business Opposes Climate Action. *Not*! Corporations call for a clear carbon price, as new report shows companies are taking the threat of climate change seriously. You probably won’t hear President Obama or Governor Romney detail carbon-reduction plans any time soon. But top-flight business leaders from around the world got together yesterday via video-conference to rally behind carbon regulation, saying there’s only so much they can do themselves: Putting a price on carbon would provide the clearest incentive for businesses to compete aggressively to reduce pollution. Participants in the Carbon Disclosure Project (CDP) Global Climate Change Forum—which included representatives from the World Bank, the International Energy Agency, L’Oreal, and Tata Steel—connected six cities around the world and was broadcast live online, at one point trending on Twitter. CDP chairman Paul Dickinson took the opportunity to lay out a case for how a carbon price goes above and beyond what companies can do themselves. “They want clarity on regulations,” Dickinson said in a Skype interview after the forum. He said businesses can do 20 percent of the work. The other eighty must come from government. More than 80 percent of companies polled recognize climate change as a threat to their business. 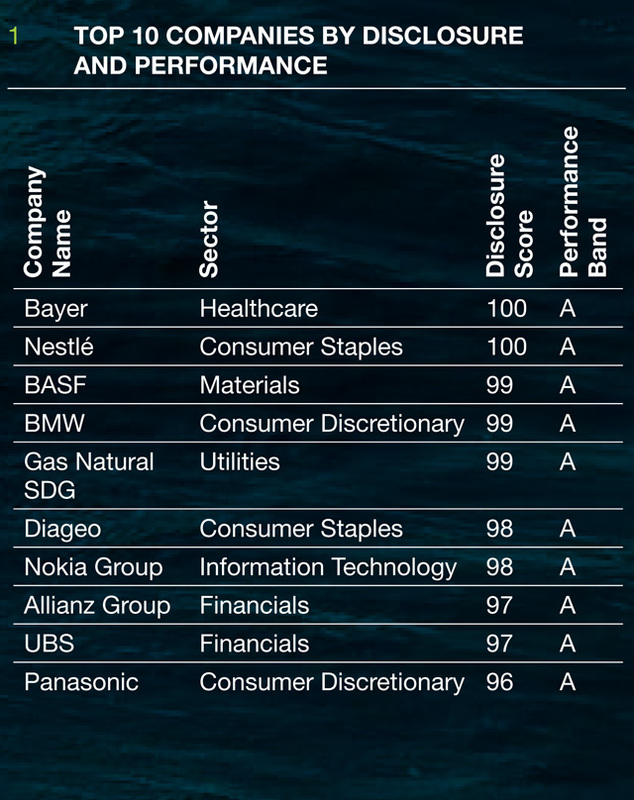 A report released by the London-based non-profit Carbon Disclosure Project to coincide with the forum shows the world’s largest publicly listed companies are more concerned with climate change than ever, especially as a physical risk to international supply chains. For example, Spanish ultility Gas Natural SDG said extreme weather could damage their plants in the immediate future and interrupt gas and energy supplies, while sea level rise could affect coastal facilities in the future. Vale, a Brazilian mining company, has invested $8 million in weather-monitoring equipment to keep a vigilant eye. The survey of the “Global 500” (the largest companies by market capitalization) showed more than 80 percent of responders recognizing climate change as a threat, with 37 percent seeing it as a real and present danger. That’s an increase of 10 percent since 2010. Good news in the executive floors of global corporations, too: The report shows an overwhelming majority of survey respondents are putting climate change into their corporate strategies, a rise of 10 percent from last year to 83 percent; nearly all have given climate change a seat at the table in the form of a high-level executive who deals exclusively with sustainability or climate policy. But “it’s not all good news,” said Jonathan Grant, sustainability director for PriceWaterhouseCoopers, the financial services firm headquarted in London that co-wrote the report. Although 82 percent of companies have set some form of reduction target, only one fifth of them have set targets to 2020 or beyond. Those that have set longer range targets are only reducing their emissions by around 1 percent per year on average—not enough, says Grant. Nearly a third of respondents reported no emissions reductions at all. Correction: The original version of this story misattributed the quote about America taking charge to another participant, Alan Brown from Schroders.